Tonight was Sessions # 7. This year it was held again at Yonge and Dundas Square. Teena and I have been to all seven, starting with the original one at Sunnyside Pavilion. It is one of our favorite festivals of the year. We always buy the Princess passes, as we get to sit in a private area with chairs (there is very little seating areas on the outside), a private bathroom, almost worth the price of admission, and catered food. The past few years have been very disappointing in that area, but still the Princess passes were worth it. I started with an APA from Sextant Craft Brewing, which I really enjoyed. Next I paid a visit to Elora Brewing. I love the town and want to go back again and stop into this brewery. I had a Lady Friendly IPA. It was citrusy and nice. Black Oak Brewing had a Collaboration beer with Sam Cash & the Romantic Dogs as part of the collaboration contest Sessions holds, which was a citrus extra pale ale which I really enjoyed. Bad Luck Woman and Her Misfortunes were the musical entertainment and were awesome. Drawing inspiration from the feistiest female singers of the 30s, 40s and 50s, Bad Luck Woman and Her Misfortunes bring you sassy, greasy blues tunes. Our office is close to the 3 Brewers location on Adelaide and I go there often. I was given a whistle, a coupon for a free Flammekueche, which I just love, plus I got an Iron Tao Tea Saison. I loved it! The Off the Leash IPA was enjoyable from High Park Brewery. There was a stack board game that was played by many that passed by. It was fun to watch. It was quite crowded at the end and those without the Princess passes had very little places to sit. I'm glad we bought them. I forgot to record what I had from Red Line Brewery in Barrie. I do remember I liked it and that's not just lip service. My friend, Darlene, love the collaboration beer from Big Rig Brewery, which was a Hefeweizen. I liked it. My favorite of the night came at the end. It was a collaboration beer between Oast House Brewery and a brewery from the Netherlands. It is a Netherlands beer style I have never heard of called a Koyt. 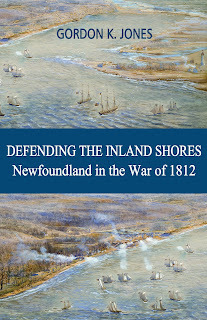 Apparently it is due out in the LCBO later this year and I am looking forward to it. After having many samples, I still found this beer to be wonderfully complex. Well done! It was a fun night as always. The first year we had Princess passes, the food was more plentiful and the past two years, we were up in the shade on the stage. The passes are a lot extra and although you get many more beer tokens, the extras are what push it over the top. Still, I am looking forward to next years event and would not hesitate to get the Princess pass again.